Want to support the Repeal Project? Check out this pro-choice jewellery | SHEmazing! 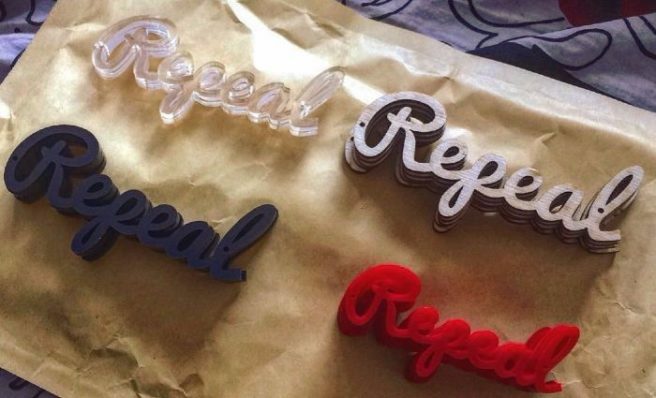 The Repeal Project has inspired many artists to get creative in support of one of the most prevalent issues of our time. Furthering the reproductive and body autonomy rights of women, the Repeal Project has campaigned tirelessly to raise awareness for the pro-choice cause, and now one artist is raising further awareness in a pretty unique way. The Repeal jumpers were a huge success, with every batch selling out as pro-choicers clamoured to wear their political beliefs across their chests. Now, thanks to artist and Trinity student Shubhangi Karmakar, supporters can wear the slogan around their necks while simultaneously donating to the cause. The Repealist is the chosen moniker for her online store, where she creates made to order necklaces, tote bags and wall art with a Repeal theme. It's the acrylic and wood Repeal necklaces that really caught our eye. Best of all, the proceeds go to The Repeal Project at the end of the month. The first batch is currently sold out, but Shubhangi is already taking orders for a brand new batch. We'll be adding our name to that list ASAP, especially with the March for Choice coming up next month.